Kiri Thode, NB61, is undeniably, the 2013 PWA Freestyle World Champion. Hailing from the Dutch Caribbean island of Bonaire, Kiri recently dominated in his heats while competing in Sylt Germany. The final stop of the PWA Freestyle Tour, Sylt’s conditions are cold and fierce. Kiri prevailed and won top honors. I met this windsurf rock star in 2001.This windsurf athlete exemplifies grit and resilience. Hard work pays off. Also, having an entire island supporting and loving and believing in you helps to the end. But, this is not the end for Kiri. He will be seen on future windsurf podiums. Kiri represents windsurf brilliance. Kiri’s training grounds are at windy Lac Bay. 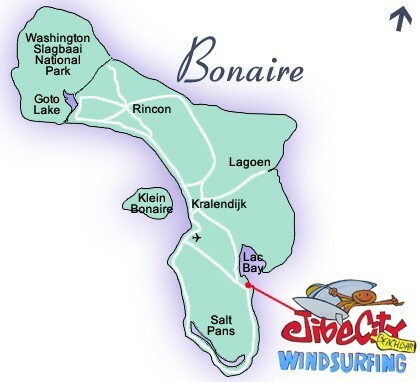 To learn more about Kiri and Bonaire’s awesome windsurf training grounds, contact Ann Phelan at ann@bonairewindsurfing.com. Ann is a former event coordinator for over 6 PWA freestyle event. When she’s not booking trips, she’s on the water windsurfing. This entry was posted on October 9, 2013 at 10:21 am and is filed under Windsurfing. You can follow any responses to this entry through the RSS 2.0 feed. You can leave a response, or trackback from your own site.